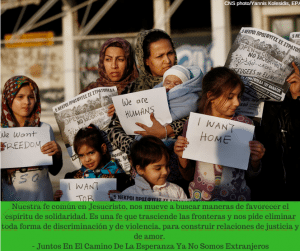 Washington, D.C. – Today a letter, signed by 4,000 Catholic priests, religious brothers and sisters, and deacons, calls on elected officials and citizens alike to fulfill the moral responsibility to welcome and protect those displaced from their homes, fleeing from war and other forms of violence. We, 4000 priests, religious brothers and sisters, and deacons of the Catholic Church, appeal to our President and political leaders to continue broad support for United States’ refugee resettlement program. As leaders in the Church, we are deeply committed to Jesus’ teaching to welcome the stranger and to protect those who are marginalized and vulnerable. With some sixty-five million people worldwide displaced from their homes due to war and other forms of violence, the United States has a moral responsibility to remain a safe haven for children, women, and men fleeing persecution and possible death. 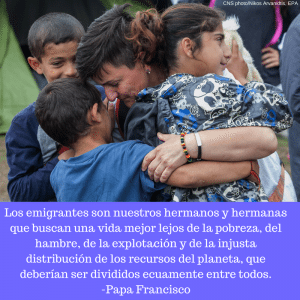 Our nation has long prided itself on providing refugee families an opportunity to start a new life and the chance to contribute to the continued flourishing of our country. 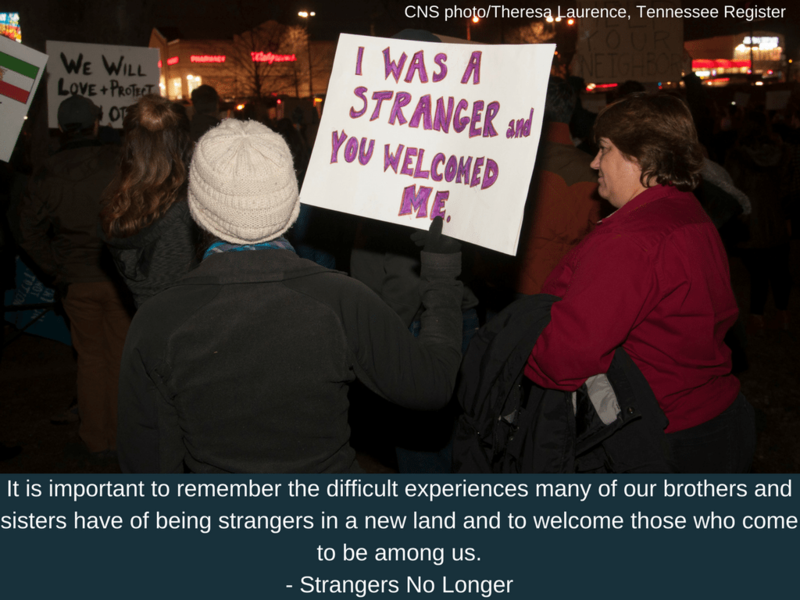 Now, when the need is so great, is not the time to waiver in our commitment to this tradition of welcome. Furthermore, while the Catholic Church in the United States is deeply concerned with the persecution of religious minorities, we strongly reject any proposal to prioritize refugees of certain religions over others. 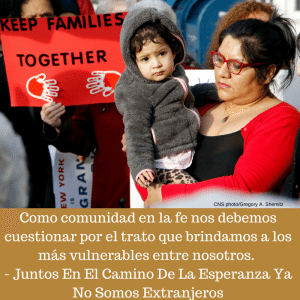 We understand and support the need for a safe resettlement program, however, we remind our leaders that the vetting in place currently is quite stringent and has proven very successful, and that we must always balance the need for security with the need to protect and welcome the most vulnerable among us. Doing so is fundamental to our religious tradition: “I was hungry and you gave me food, I was thirsty and you gave me drink, a stranger and you welcomed me.” (MT 25:35). We call on our elected officials to ensure that refugees of all ethnic and religious backgrounds have equal access to the U.S. resettlement program. Our Catholic community will continue to stand with refugees and other marginalized migrant populations. We will continue to advocate for the recognition and protection of the human dignity of all. And we will recommit to work with our government in order to ensure that our resettlement program is both secure and accessible to the vulnerable refugees in need of our compassion, welcome, and support.